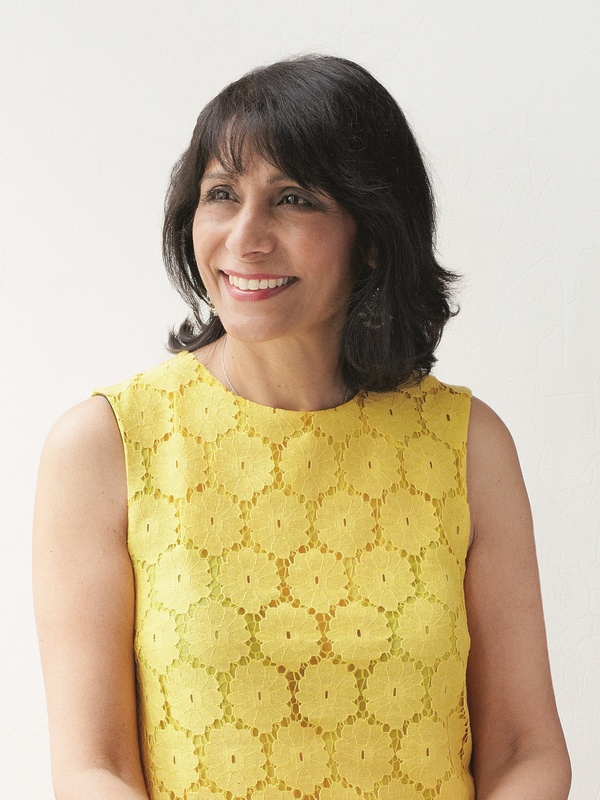 Kalpna Woolf, Founder of 91 Ways to Build a Global City shares with us her story of her Mum’s Curcumin Loaded Chana Dal. “We know that dal is a staple for millions of people across the world, giving daily and often much needed all-round nourishment, but dal is also a fundamental symbol of the culture of a community (it is a cultural touchstone) and as such it is with pride and affection that dal dishes are placed at the centre of a table of food (not as a side-dish) and recipes lovingly handed down to generations. Dal is a feature at feasts, holy days, happy and sad occasions. It is my go-to ingredient when I want, taste, comfort and good, healthy food and a connection back to my heritage and it’s what I love to spend time cooking for my son and family. Rinse the daal so the water runs clear, then soak in a bowl of cold water for at least 2 hours, or overnight. Bring the water to the boil in a large saucepan. When the water starts to boil, add the daal and 1 teaspoon ground turmeric. Partially cover the pan and cook over a medium- high heat for 30 minutes. The water may need skimming. After 30 minutes, turn up the heat to high and cook for a further 1—15 minutes until the daal is soft and the water is absorbed in the daal. The daal should retain its shape but still be soft. Heat the oil in a deep frying pan over a medium heat. Add the cumin seeds and, as soon as they start to they sizzle, add the garlic and ginger. Mix for 1 minute then add the chopped onion, coriander stems and green chili and cook for 4-5 minutes until the onion is soft and almost brown. Add the spices – the remaining turmeric, the ground coriander, chili powder and the salt – and stir through for 1-2 minutes. Add the canned tomatoes and juice and the tomato puree, then add the warm water and leave to meld together for about 10 minutes over a low-medium heat until the tomatoes are mashed down and the sauce is thick. At this stage, add the spinach leaves and cook for 1-2 minutes until wilted. 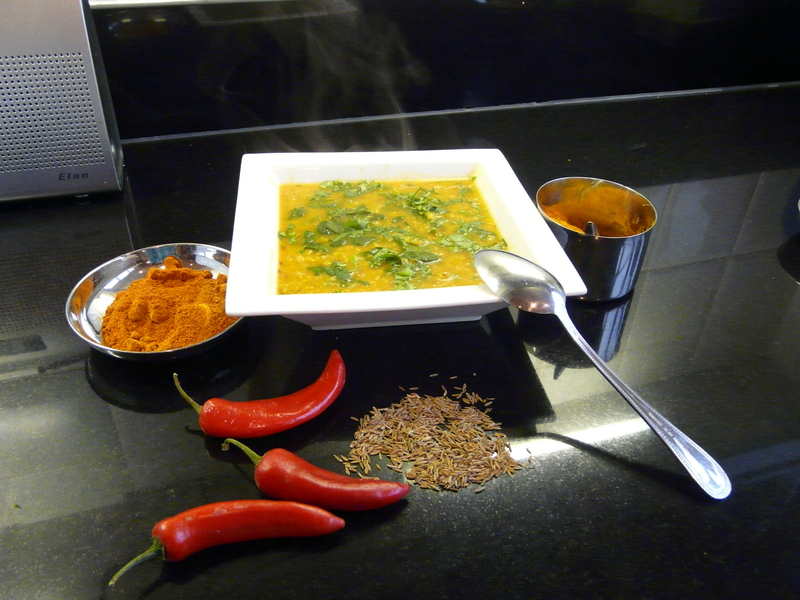 When the daal is soft, spoon the sauce into the daal and simmer for 5-10 minutes. The daal will thicken. Mix in the coriander leaves and serve.